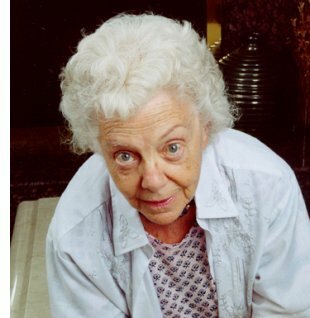 Betty Ballantine, born in India to a colonial family, married Ian Ballantine in 1939, and soon thereafter the couple moved to New York and began importing mass-market paperbacks from the UK. They were a team for over 50 years, helping to form Bantam Books in 1945, launching their own firm Ballantine Books in 1952, becoming freelance consulting editors/publishers in the 1970s. Ballantine Books was one of the earliest publishers of original SF books, both in hardcover and paperback, by authors ranging from Arthur C. Clarke and Frederik Pohl in the '50s, Anne McCaffrey and Larry Niven in the '60s, the first "authorized" edition of J.R.R. Tolkien's works, and the Adult Fantasy line of classics by H.P. Lovecraft and others in the '70s. Later projects included art book Faeries and James Gurney's Dinotopia. Ian & Betty Ballantine won two World Fantasy Awards, in 1975 and 1984, and Betty received a special SFWA President�s Award in 2002. Since Ian died in 1995, Betty continues to edit part-time. She lives in Bearsville, New York. �So we got the agency for bringing Penguins into the US-of-A  that was in late June of 1939. At that time, paperbound books were a complete rarity here. A few Penguins had been special-ordered by one or two bookshops, but paperbounds were simply not part of the American scene. �We started out with a cash capital of $500  my father�s wedding gift to us. And of course, the physical books, which came to us from Allen, which we didn�t have to pay for until they were sold. So there was Ian, and me, and our stock boy, Bill Halusic: the President, Vice-President, and Warehouse Director, respectively. My 500 bucks paid for rent and salaries for the three of us for about three months, until money began to come drifting in. The full interview, with biographical profile, is published in the November 2002 issue of Locus Magazine.